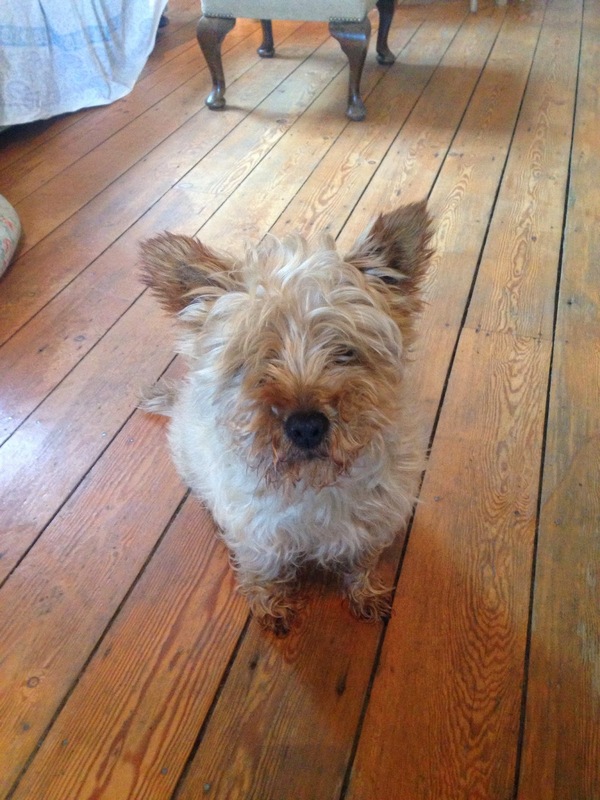 This post is for Charlotte Bevan, who loves dogs and who always posts wonderful photos of her dogs and those belonging to other people on her blog. 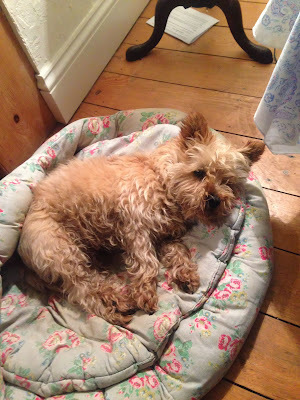 This is our cairn terrier Titus - I never thought I would be generous enough as to dedicate a blog post to him but if Charlotte can read this, it might cheer her up. I took him on a 5 mile walk yesterday - we can't remember the last time someone took him that far round the "block". I think he loved it although he kept walking right under my feet so we both nearly ended up in the puddles and boggy mud. And no thats not funny so don't laugh.